Every party, event, or business gathering is a unique occasion. If you’re looking for some amazing entertainment for your special event, you’ve come to the right place. 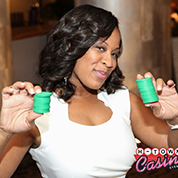 H-Town Casino Events in Houston, TX offers entertainment for a variety of occasions. We guarantee that the entertainment you book is of high standard and suited to the occasion, so you and your guests can have a great time. 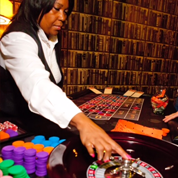 Are you looking to make your next casino party something you and your guests will never forget? 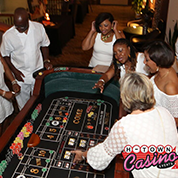 Well look no further at H-Town Casino Events we can provide you with everything you need for a party night of fun, laughing, exciting casino gambling action and much more. We provide an engaging and interactive experience for people of all ages and interests. We use only the best casino grade tables and gaming accessories. Our friendly and experienced dealers will entertain your guests Vegas style. We offer a variety of casino tables, including blackjack tables, poker tables and slot machines, your event will surely be a fabulous one. For more information, dial 713-306-6862. Friendly Staff by Deronica H.